Staying up-to-date on the latest gadget news and happenings isn’t always easy considering technology and trends seem to be changing on a constant basis. 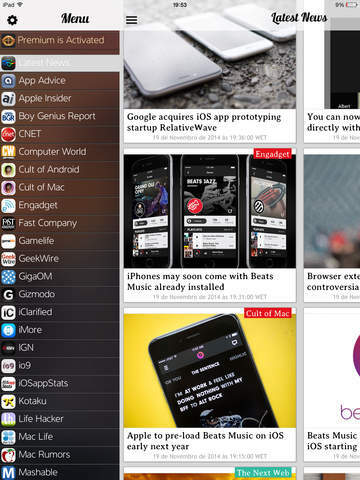 This list of apps is designed to help you find all the latest news, reviews, trends, and more with very little effort on your part. Now you can feed into your passion for all things tech-related and be sure you always have the latest information. Gadget fiends love very little more than gadgets, though reading about gadgets is a close second. 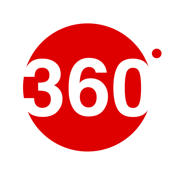 Gadgets 360 is a gadget lovers’ best friend with a fantastic trove of techy news, analysis, reviews, opinion, and more, from one of India’s most followed websites for tech news. Features include exclusive content, videos, breaking news, and more. Users can set notifications to get updates on tech topics of interest as soon as news breaks, or utilize the handy tablet and mobile finder, which will recommend a device tailored to your specific budget and needs. Gadgets 360 is always free, so add it to your iPad today. Give your inner geek some retail therapy with Touch of Modern, the leading site in North America for online shopping. 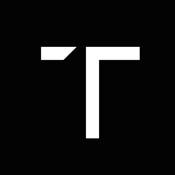 If you are looking for tech, fashion, furniture, accessories, and more, Touch of Modern is a terrific source to browse modern products sourced from all over the world. Users will enjoy up to 80% off designer items, and get first access to time-limited promotions. 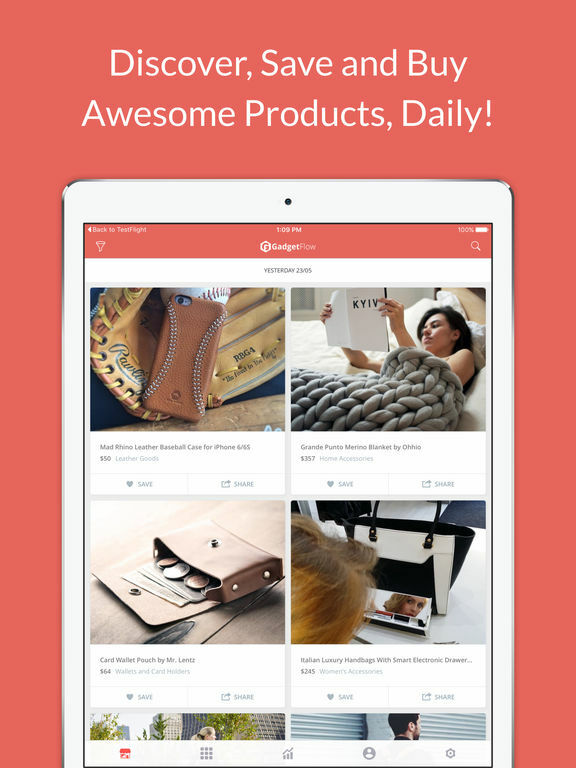 Products are curated by experts, and new items are added daily. If retail therapy is your go-to vice, check out Touch of Modern and window shop or purchase straight from your iPad, anywhere you go. 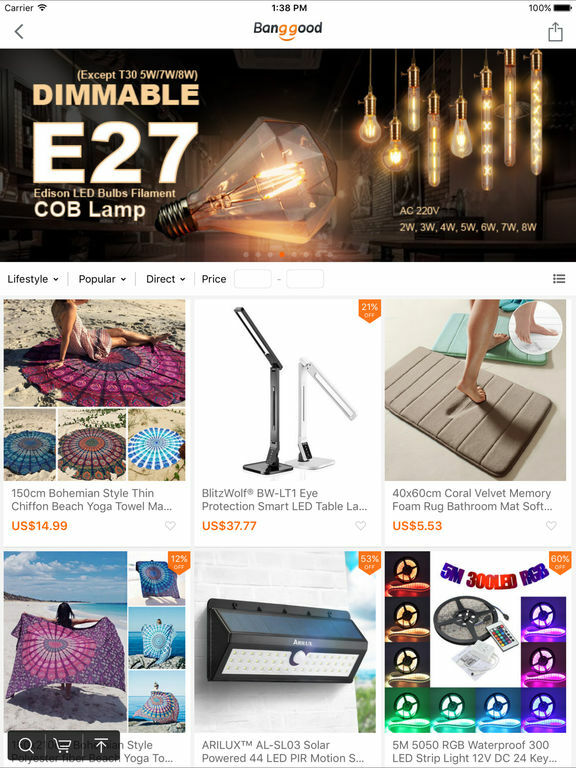 This online shopping app contains a whopping 110000 items in its database with daily additions categorized into 140 different categories to help you find exactly what you are looking for. There are customer reviews on products to help you make an informed decision. The app features a clean interface and comprehensive search functions as well as the ability to create your own favorites list. Users can pay with PayPal, and share their favorite products via social media. Brick and mortar shopping is so 20th century. 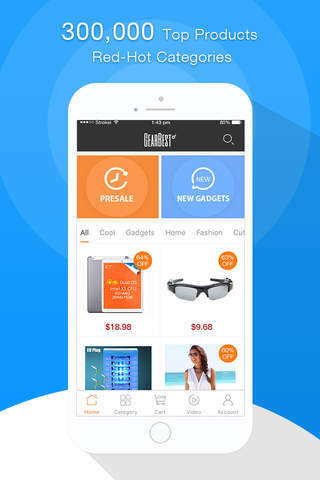 Savvy millennials use Banggood for the best bargains in tech, fashion, gadgets, and more. 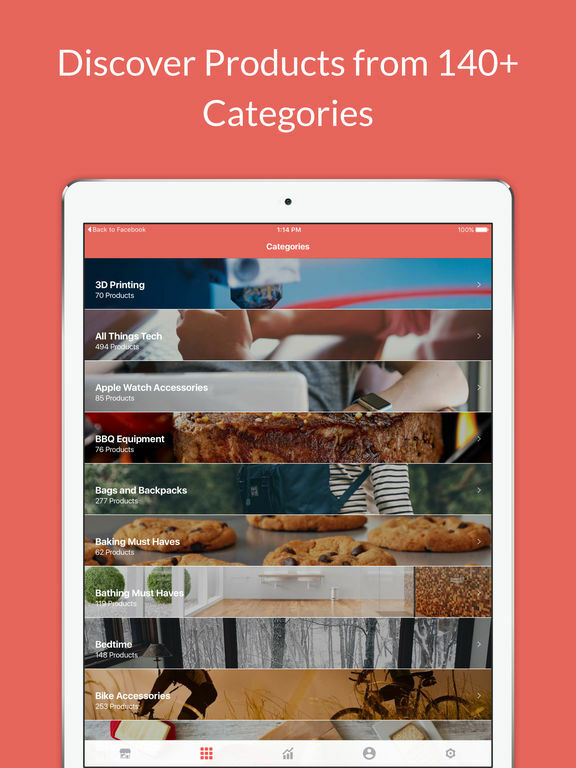 Browse all of your favorite categories from the comfort of anywhere you can take your iPad! 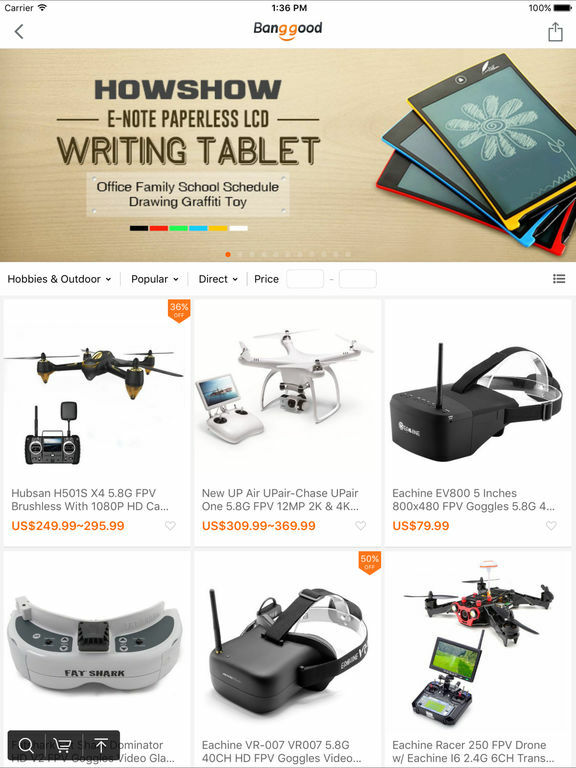 Listing are deeply discounted and include accurate and helpful reviews. Like your favorites and keep a list of everything your heart desires. Keep up with the latest in fashion and technology trends by checking daily for new listings. 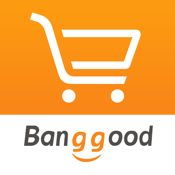 Users collect Banggood points every time they make a purchase. 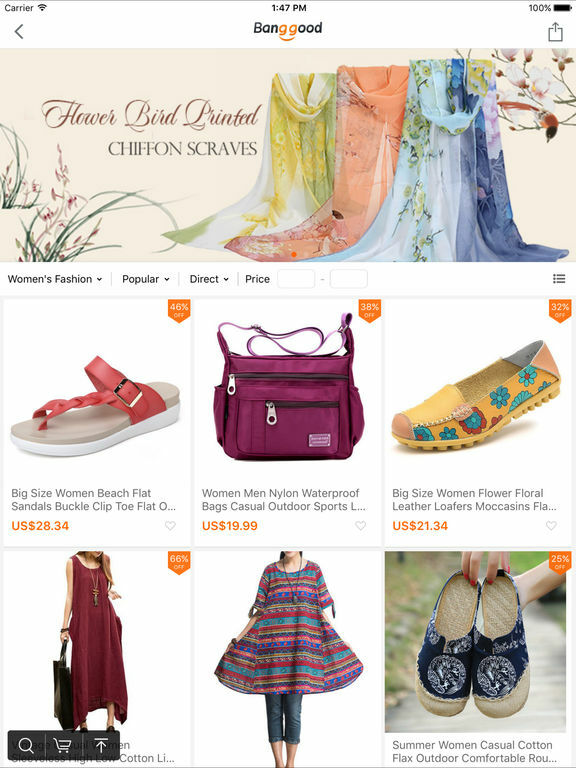 The app works beautifully and makes searching and shopping smooth and satisfying. 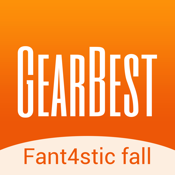 Gadget Flow - Discover Awesome Products, Daily! 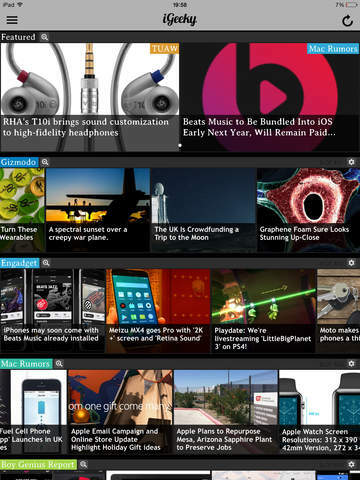 Staying on top of the latest gadget news has never been easier than with the Gadget Flow app. 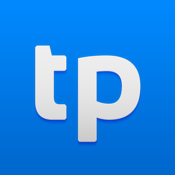 You will literally be able to visit this app on a daily basis and find new content each time. Each day 12 new products are added that you can read about. 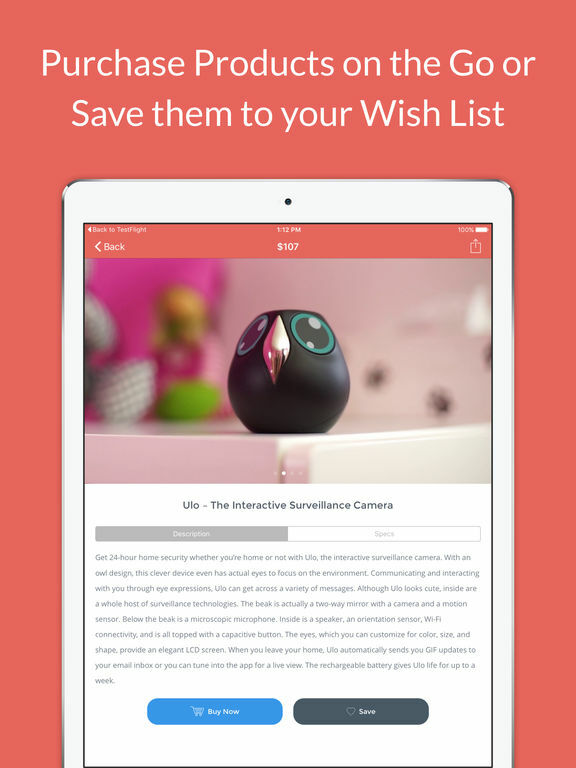 Each time you finish checking out a product you can save it to your wish list if you choose. 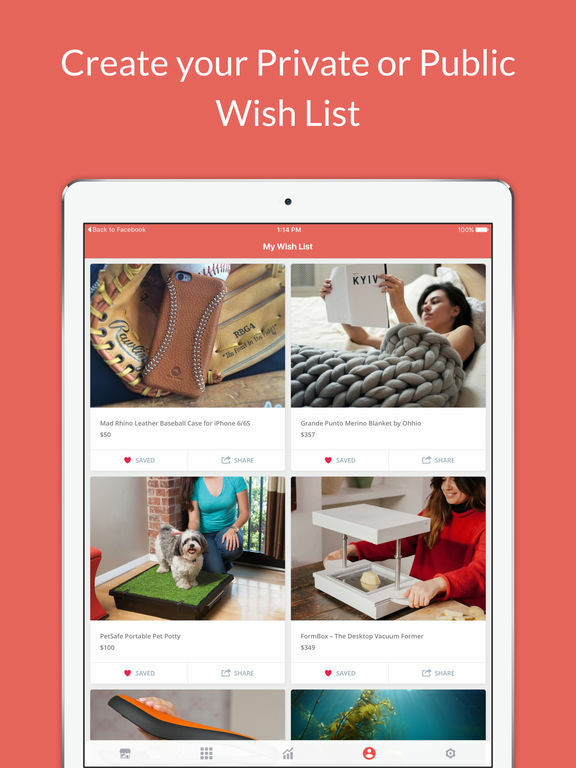 There are public and private Wish Lists that you're able to set up. You can share information to Pinterest, email, Twitter, Facebook, and SMS. 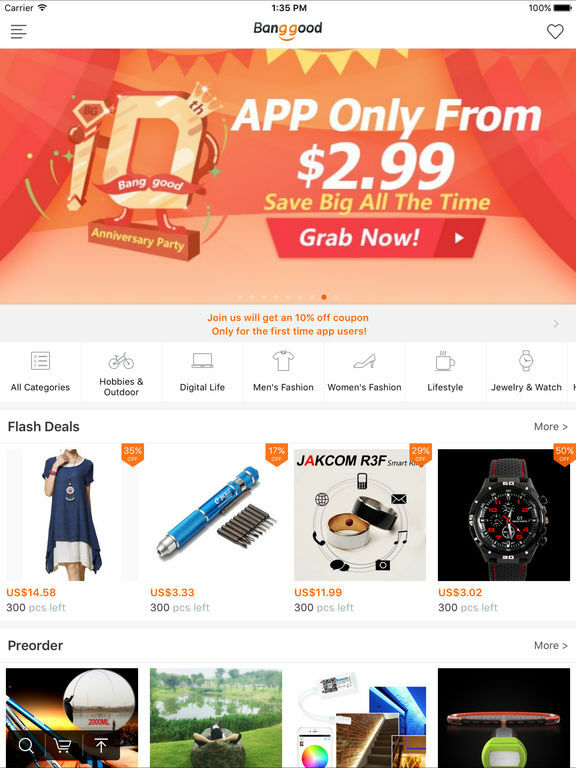 Additional features include push notifications, you can save pictures of the products to your Photo Album, get gift ideas for others, and view more than 120 collections. 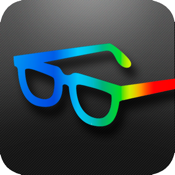 There's no need to be a geek in order to enjoy the iGeeky - Gadget News and Tech Updates app. 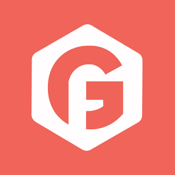 This one has been created for anyone who has an interest in gadgets, tech news, and new products. 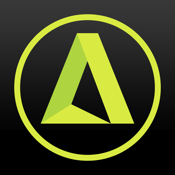 The app does the work for you by scouring some of the top tech sites out there and giving you the information. 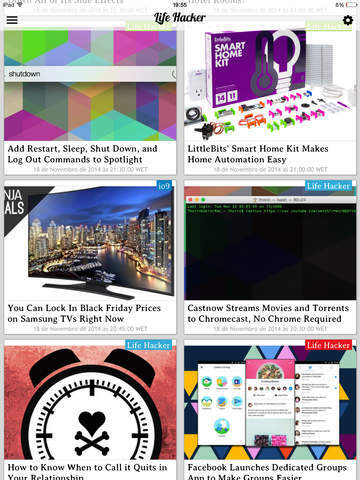 You can access news from The Verge, Gizmodo, Cult of Mac, GeekWire, Gamelife, and plenty more. The app has recently been given an all new user interface giving it a more polished and modern look that users are loving. Do you have a favorite source for tech news or do you find yourself hopping from site to site trying to catch up on everything? 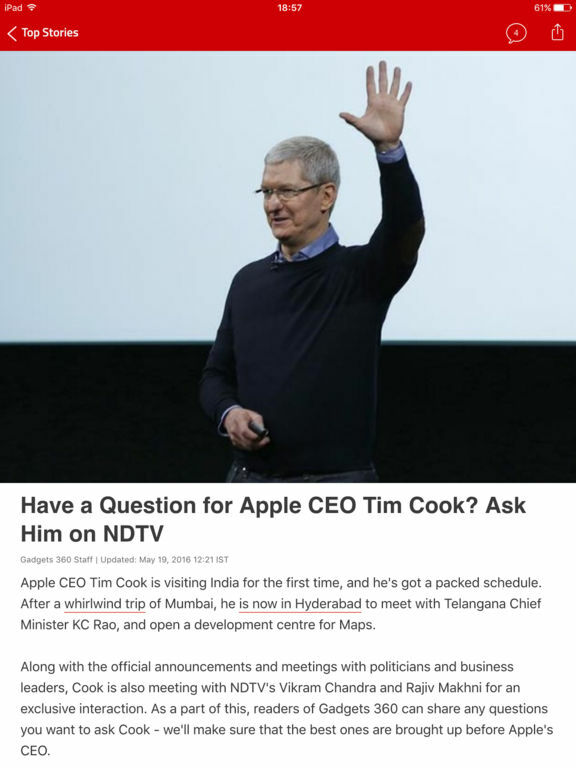 The Gadget News app attempts to be a complete solution by providing users with news, reviews, updates, and even rumors. The news feed is simple to read because there are no repeated stories which can clutter it up. Some of the standout features here include access to the social news feed, a read-it-later feature, push notifications, a news summary which is great when pressed for time, you can comment on articles, and you can block sources if you want. Consumer electronics is an ever-changing industry that is filled with new technology on what seems like a daily basis. 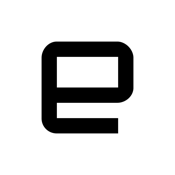 The Engadget app will keep you updated on all the latest research, news, and reviews in regards to consumer electronics. What's really cool is you get to hear about many of these products before they are actually available on the marketplace. Products that you'll be reading about include gaming systems, HDTVs, smartphones, tablets, laptops, and more. 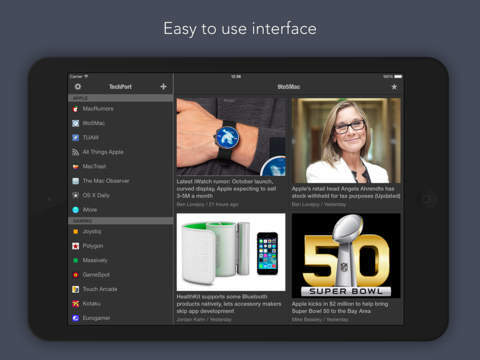 The user interface echoes the modern and high-tech content by being fast, simple, and sleek. The "Most Popular" feed is a great place to check out the day's trending stories. 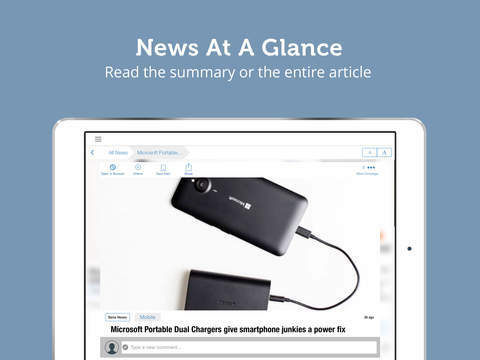 Having access to the latest technology news is a top priority for plenty of people and if that sounds like you then the TechPort app could act as a wonderful tool. 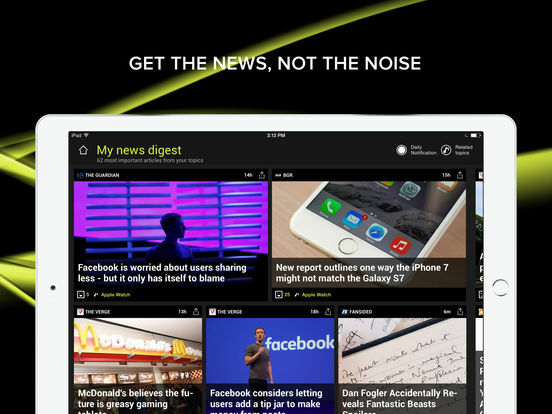 This app is constantly working to find you the news by gathering what it can from such sources as The Next Web, Ars Technica, Engadget, TechCrunch, and The Verge. What's cool is that you can customize your experience by picking sources as favorites. 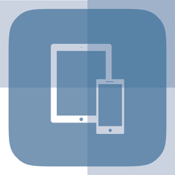 There are more than 60 sources that the app uses. If you come across an article that interests you but you don’t have time to read it just mark it as “read it later”. 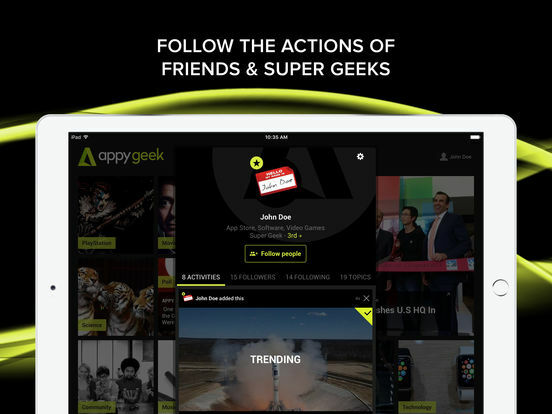 So you love technology news and reviews on the latest gadgets then there's a good chance you'll love the Appy Geek – tech news app. 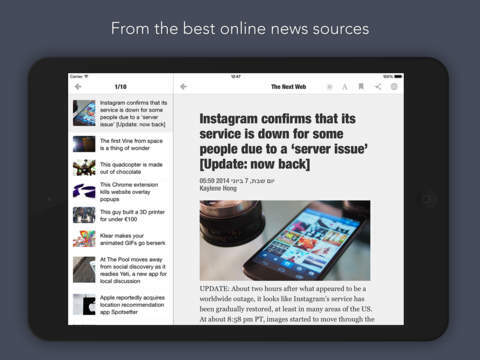 This app features daily breaking news that is gathered from a number of news sources around the world. This gives users a really complete look at what's happening out there. 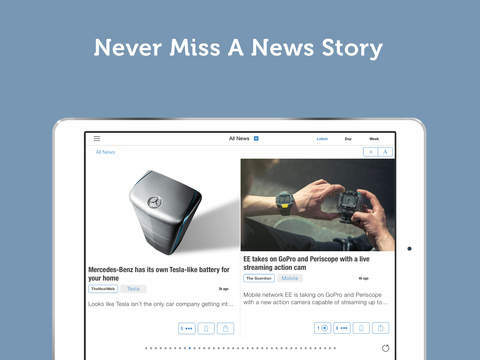 Features of this app include the fact that it learns your interests to provide you with a personalized experience, the app is very visual, view articles in full text format, view videos and photos, and even add your own custom RSS newsfeeds. 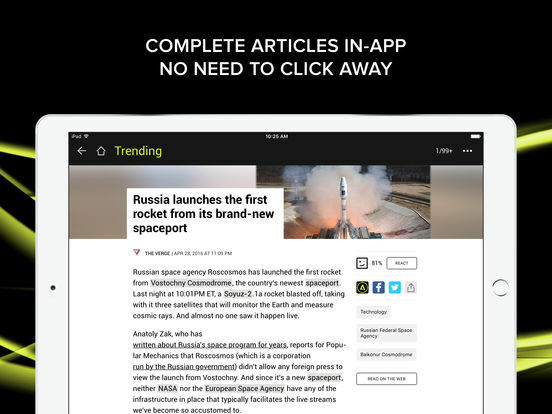 It's all about the latest tech news in the TechCrunch app. 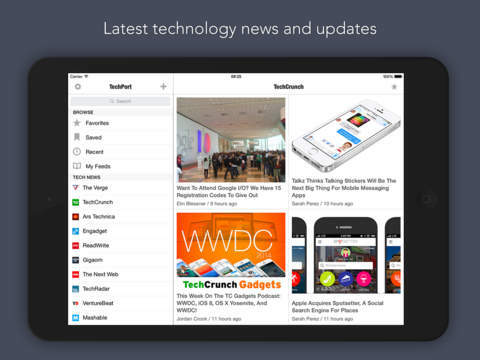 This app provides users with access to the TechCrunch website for free. 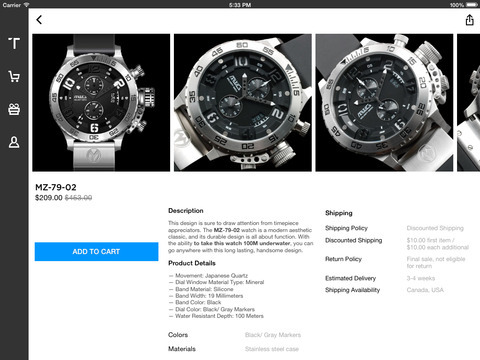 You'll love the custom designer user interface and the fact this app is integrated with CrunchBase. The Trending List is a great spot to check out what is currently causing buzz around the world. Moving through this site is simple and you can adjust features such as the font size. If you're looking for something specific be sure to check out the search tool. 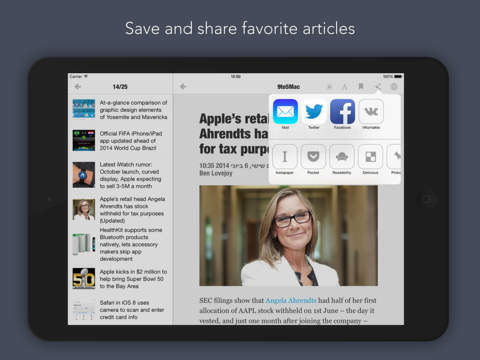 Content can also be shared with friends and family.